Social networks — they’re not just for customers anymore. Yes, social networks like Twitter, Facebook and LinkedIn have proven to be invaluable tools to help you connect and build relationships with your customers. But did you know that there are social networks specifically designed for you and your employees to connect with each other? The world of work is changing. Your employees are already using social media applications; they’re crowdsourcing, collaborating, and sharing content outside of the office. Here are some powerful social networking tools you can use to bring the power, benefits, and familiarity of social networks to your enterprise. Yammer is a secure, private social network where members of your entire enterprise can collaborate, share documents, conduct meetings or simply chat freely among themselves. It offers an opportunity for your employees to connect with one another in ways that they’re comfortable with while adding the power of electronic documentation to the conversation. 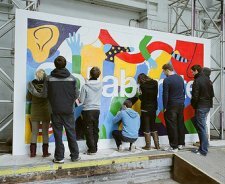 Unlike a traditional face-to-face meeting where someone is assigned the unenviable task of taking and distributing notes, Yammer conversations and collaborations become the notes. For example, all conversations and searchable and can include file attachments, links, and a variety of supporting data. Suppliers and stakeholders can join the private conversation, making it more convenient than using additional customer management tools. Yammer has both a free and a paid version. It offers open API support, which means you can embed your existing corporate information into the application, making your data even more accessible. Yammer is also available as an app on a number of mobile platforms, allowing you and your staff to stay in touch even when you’re on the move. Yammer has been described as a private version of Twitter. If your staff is already using Twitter, they’ll likely catch on to the Yammer application without a steep learning curve. Socialcast bills itself as “an enterprise collaboration platform … that unites people, data and applications in realtime.” It is similar to Yammer in that it’s a secure, private social network designed specifically for corporate collaboration. Socialcast incorporates analytics measurement tools, connectivity to third-party email platforms, along with cloud-based and mobile-app delivery options, so you and your staff can stay connected to each other at all times. You and your executive team can even conduct “Town Hall” meetings in which staff can ask questions in realtime, or in which you can work out the details of a product launch collaboratively and prior to deployment. Socialcast is available in both free and premium (paid) editions and comes with a variety of online resource materials to help get you started. 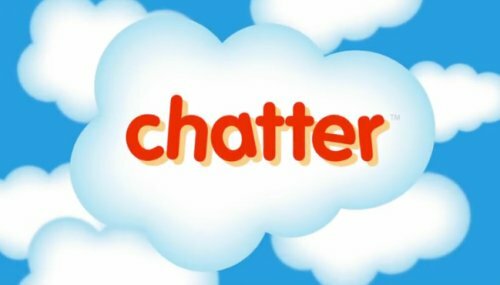 Chatter is the enterprise-wide, private social network that’s integrated within the customer relationship management (CRM) application, Salesforce.com. Like Twitter, Chatter uses profiles that employees can use to let other members of the team know who they are and what they do. Chatter members can send invitations to other staff members who are not yet on the platform. Anyone on the platform can recommend people, groups, and even data to follow so that the most valuable information within a company can be flagged for everyone to see. The basic version of Chatter is free for Salesforce.com customers. You can also subscribe to the paid version, Chatter Plus, which integrates with your customer data, calendar, and AppExchange apps. Are you using a private, enterprise-wide social network? What benefits has it brought to your organization?